Ontologies are knowledge constructs essential for creation of the Web of Data. Good documentation is required to permit people to understand ontologies and thus employ them correctly, but this is costly to create by tradition authorship methods, and is thus inefficient to create in this way until an ontology has matured into a stable structure. The authors describe three tools, LODE, Parrot and the OWLDoc-based Ontology Browser, that can be used automatically to create documentation from a well-formed OWL ontology at any stage of its development. They contrast their properties and then report on the authors’ evaluation of their effectiveness and usability, determined by two task-based user testing sessions. Interaction with semantic data is one of the most important and challenging aspects of the Semantic Web. 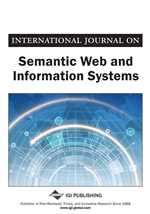 The creation and sharing of machine-readable semantic data has characterised the Semantic Web research since its beginning. However, making such semantic information accessible to humans, from Semantic Web practitioners to non-expert users, is the key to integrating the Semantic Web with the everyday Web. To support users when working with semantic data, novel applications have been developed that hide the intrinsic complexity of the formalisms and languages used to define those data behind user-friendly interfaces. Such tools require appropriate testing, to determine their effectiveness in supporting users in this way. This paper reports the results of usability testing sessions and task-based comparisons of tools commonly employed for ontology documentation and navigation. A large number of established ontologies, especially those used in the Linked Data world, have good comprehensive Web pages describing their theoretical backgrounds and the features of their developed entities. However, problems arise when we look at ontologies under development, since natural language documentation is usually only published once an ontology has become stable. This approach is justifiable: writing proper documentation in the traditional way costs effort, and re-writing it every time a developing ontology is modified is not practical. Thus, previously, the only way to gain an understanding of an ontology under development was to open it in an ontology editor so as to explore its logical axioms. This approach presents practical and cognitive barriers to a person approaching the ontology world for the very first time. First, (s)he has to download and install an ontology editor. Second, (s)he must learn to use the editor, which typically will have a complex and non-intuitive user interface. Third, (s)he will have to master the meaning of novel technical terms such as “axiom” and “refactor”, or of common English words used in novel ways, e.g. “individual” or “functional”. Then and only then can (s)he tries to get a sense of the structure of the ontology itself. Obviously these processes are challenging and time-consuming, presenting a barrier that is too great for the majority of non-specialists. It is for this reason that tools for the automatic online generation of HTML documentation from ontologies are so critically important. Not only do they ease the task of creating effective ontology documentation, but they do so earlier in the creation life-cycle. In this paper we compare the nature and usability of some tools for the automatic live generation of human-readable documentation from ontology sources, in particular LODE1 (Peroni, Shotton, & Vitali, 2012b), Parrot2 (Tejo-Alonso, Berrueta, Polo & Fernandez, 2011), and Ontology Browser3 as web services that generate human-readable documentation in HTML of OWL ontologies (or more generally RDF vocabularies), as well as WebProtégé (Tudorache, Nyulas, Noy & Musen, 2010), and the Manchester Syntax (a text-based linearisation of OWL ontologies) (Horridge & Patel-Schneider, 2009), which although not specifically developed for documentation browsing, provide features that aid in the tasks of understanding ontologies. This paper presents extensions to and comparisons with the results obtained evaluating LODE on its own, presented in Peroni et al. (2012). In particular, while in Peroni et al. (2012) we focus on describing LODE as a service and provide a first usability evaluation of the tool, in this paper we describe additional evaluations that involve two new user testing sessions made in comparison with other similar tools (i.e. Parrot, the Ontology Browser and WebProtégé), so as to produce a more general evaluation of tools and services for the documentation and navigation of ontologies.